Up and about at the crack of 10, we prepared for our last day in Montreal. 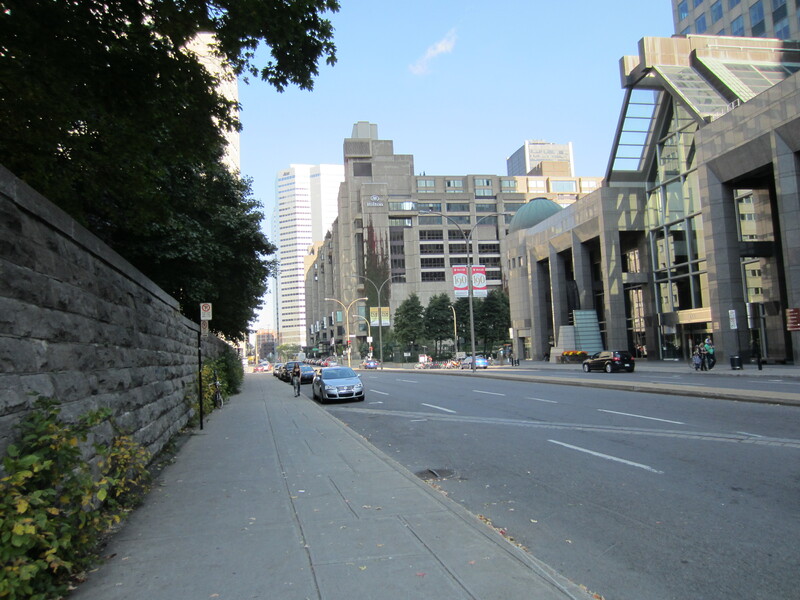 We decided to walk up Sherbrooke towards the downtown core and have breakfast and check out the sights. We found a nice little breakfast place close to McGill University and had a great breakfast. It is called Café Imagination and is at the corner of Bleury and Sherbrooke. Now happily full, we ventured into downtown. All roads lead back to Old Montreal and we decided to head in that direction. We had spied a boat tour the previous day and decided to give it a shot. 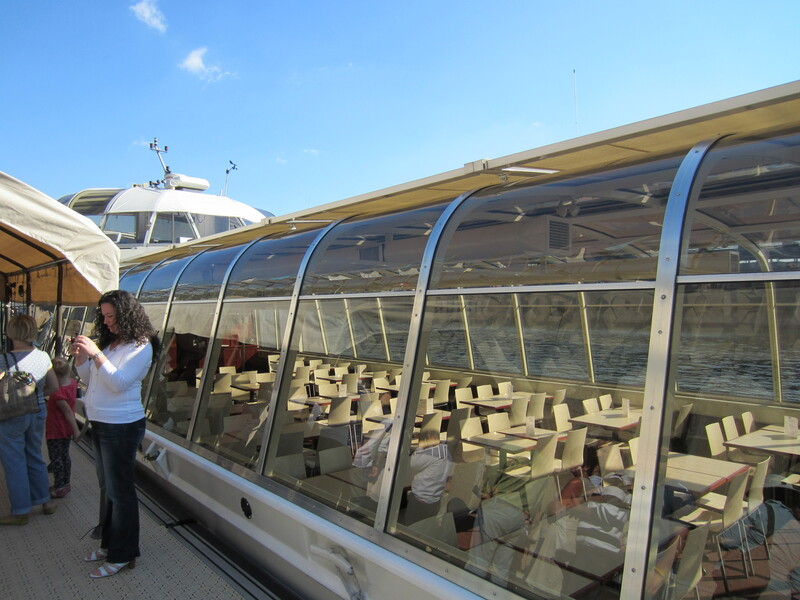 We have been on boat tours in London, Paris, Amsterdam and Ottawa, among others and figured this would be a good way to check out some of the city. Wrong. We have had better boat tours in Calgary, and we don’t have any boat tours, unless you count tubing. Steer away from this. We were on Le Bateau Mouche au Vieux-Port. The best part of the boat trip was the beer. Are you surprised? 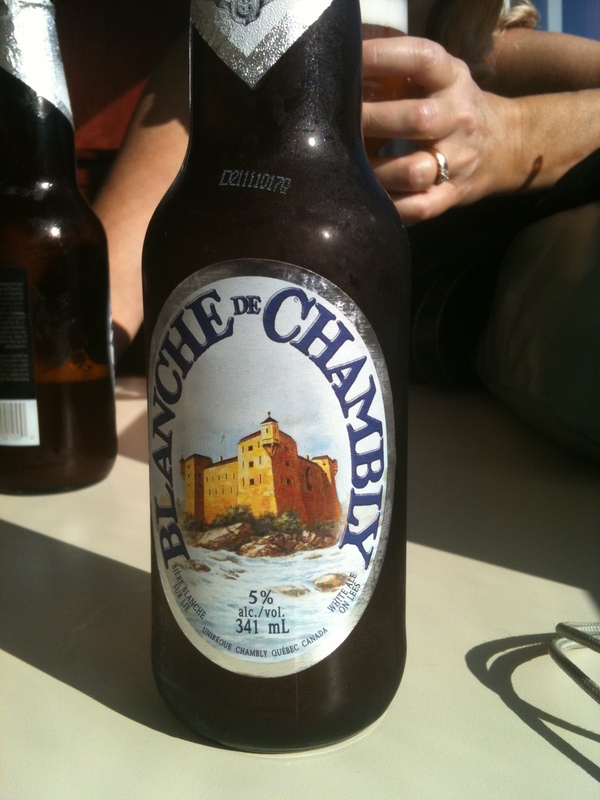 I tried a bottle of Blanche de Chambly and was pleasantly surprised. An excellent brew with subtle hints of citrus, characteristic of a Blanche beer. I highly recommend this brew. Leaving the dock area, disappointed in the trip we just took, it was time to do some more wandering in the port area and into Vieux Montrel once again. We are partial to these areas as, obviously, Montreal has a lot more to offer than just the old port area. This, though, is what we like to do. 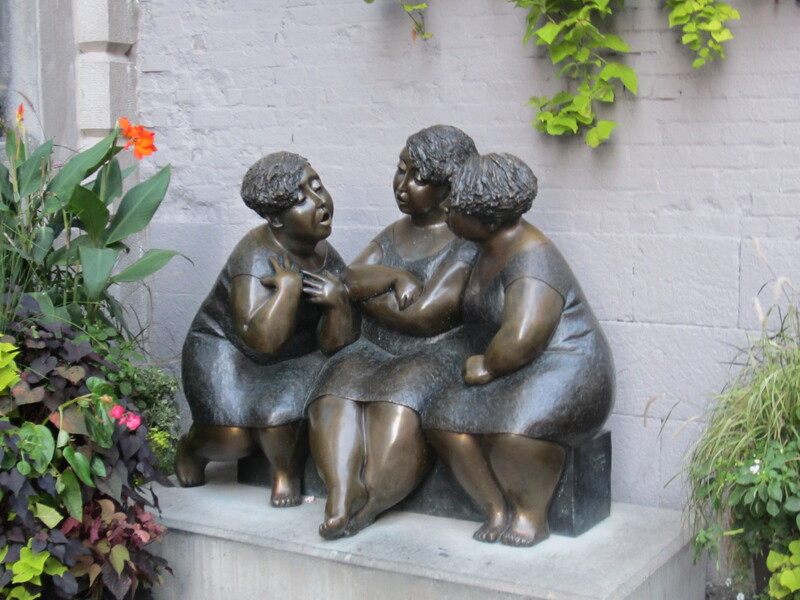 It was a marvellous day for October as we wandered the streets looking for a place to set a reservation. We found a likely place and made plans for dinner. We now had a couple of hours to kill, so we looked for a spot to have a drink and some appetizers and indulge in some more local ambience. Along the way we noticed an interesting sculpture and had to take a picture. We found a likely spot to stop. Terrasse Nelligan (Hôtel Nelligan) and it has a rooftop patio, a perfect fit for such a perfect day. Very enjoyable deck, on a beautiful sunny day. The hotel itself looks spectacular. If we hit Montreal again, I would definitely stay here, or a similar establishment in the area. 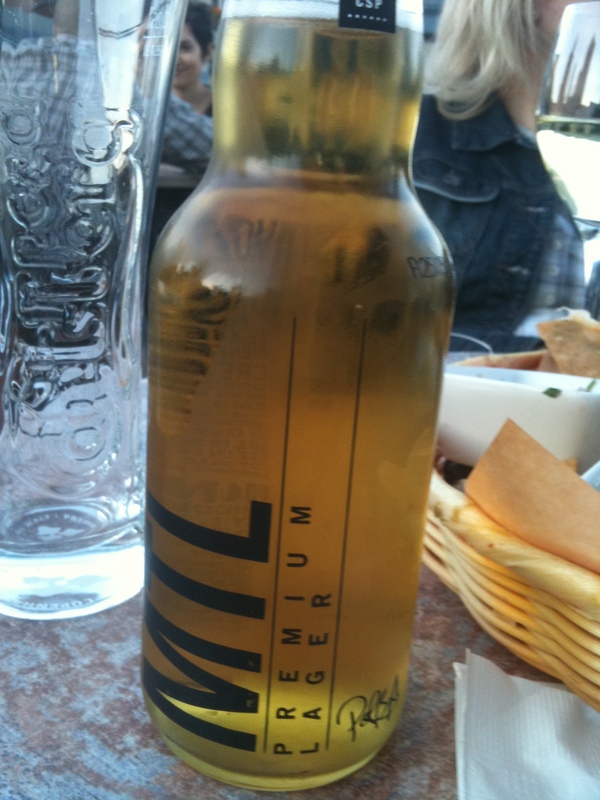 The beer I chose is another local brew, named simply, MTL. I liked the bottle, which is pretty much where it ended. Very smokey taste, almost like a discount beer. Not impressed, but you can’t win them all. It was now almost time for our supper reservation, so off we went. The restaurant was a tapas establishment called Bocata. It was superb. The best meal we had since I don’t know when. The setting was intimate, the ambience unreal, the service was also very personal and excellent. I highly recommend it to all. It is a bit pricey, but you’re on vacation. Live it up. After a 2.5 hour meal, and a feeling great, we embarked on a last tour of Rue St Paul. 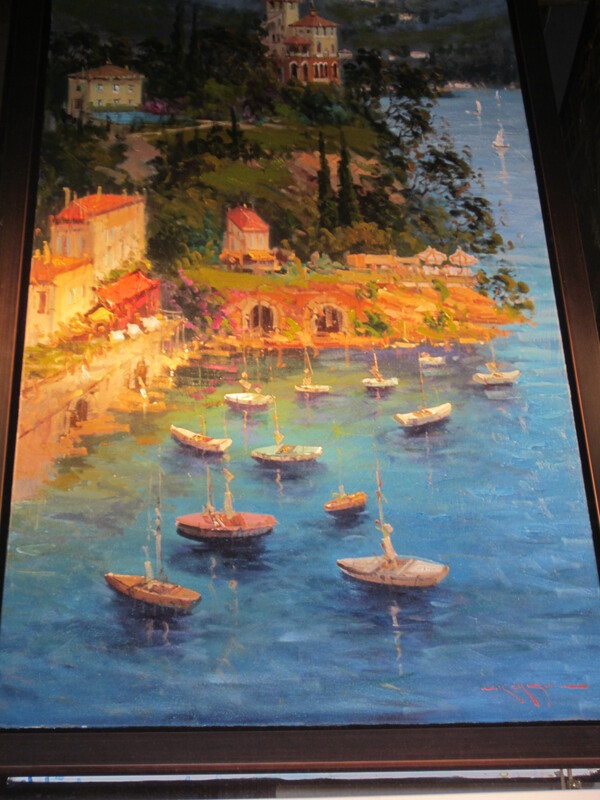 Earlier, Lori had found a painting that she wanted. The price tag was a little much for the budget, so we passed on it. She has expensive taste as it was only $20,000. The proprietor would accept 2,000 down and auto-payments on our credit card for the next 6 months of $3,000 a month. No problem, after we win the lottery. In conclusion, Montreal is a great place to visit. I feel we barely scratched the surface of the place. I have a feeling we will be back some day. Day 2 of the Montreal portion of this adventure, and it will be a full day. We scratched the surface of Old Montreal and were now intent on seeing as much as we could on this beautiful October day. The temperatures cooperated fully and we enjoyed sun and mid 20’s (Celsius). Shirtsleeves and comfort all day. 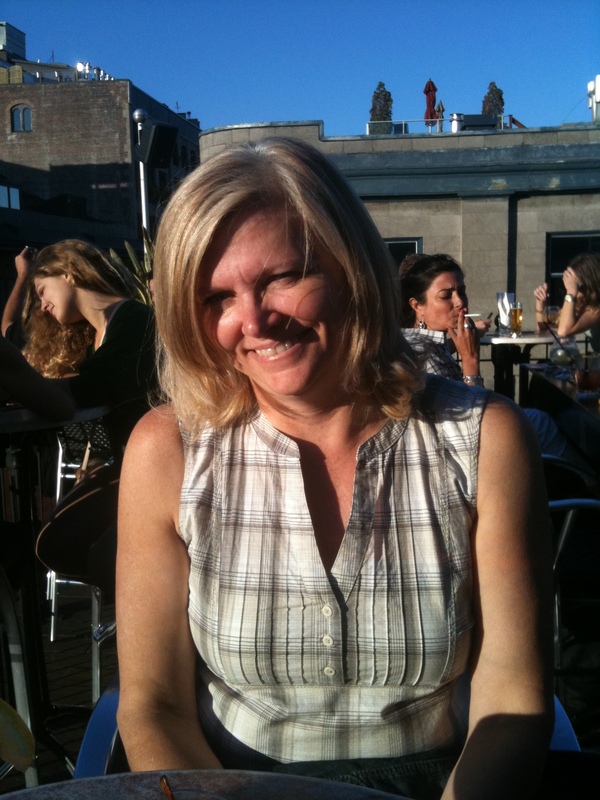 Our first stop was for sustenance as usual and we found a patio to our liking at La Sauvagine. 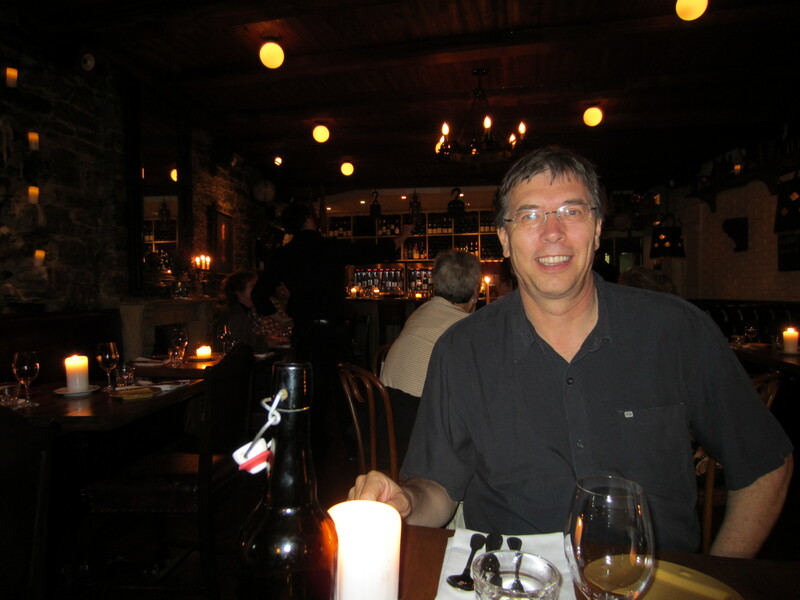 The food was excellent and the beer was quenching as well. First the food. 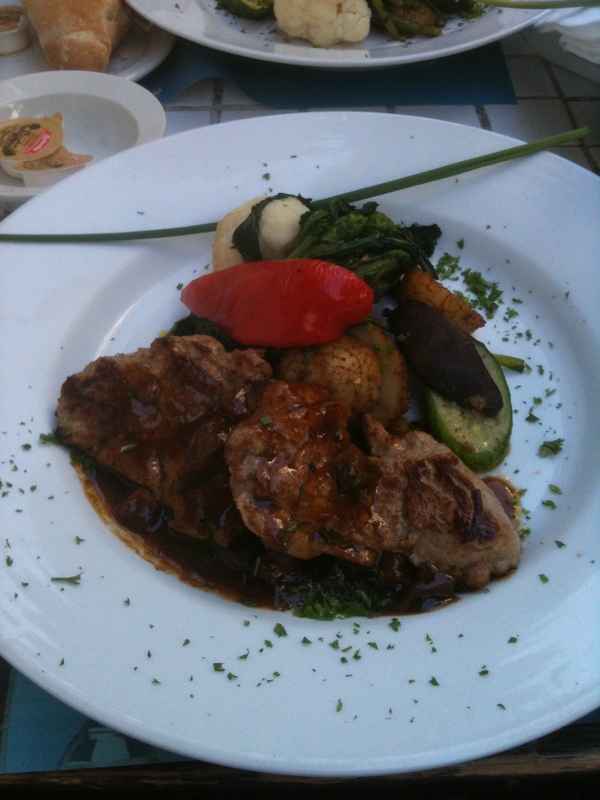 We had Pork Medallions and they were excellent. They, like the beer, tasted exactly like “I want more”. 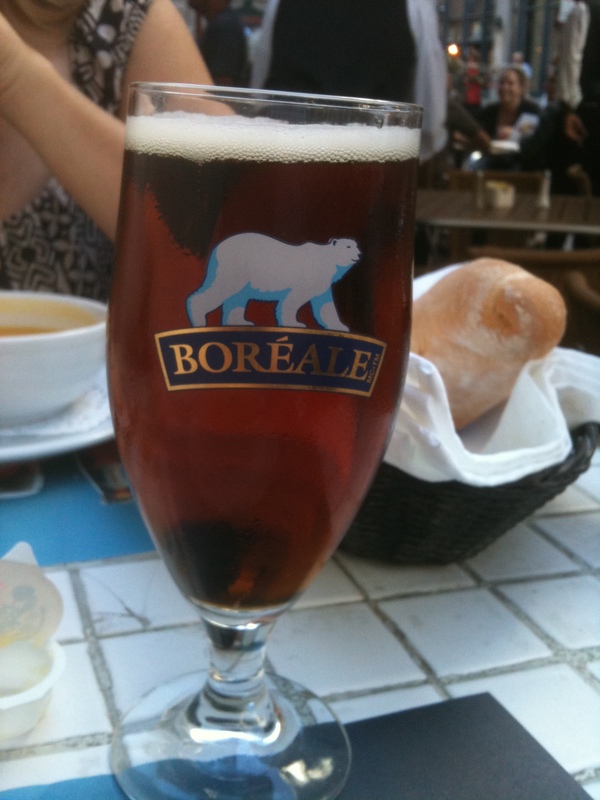 The beer was a local brew called Boreale. It was a fruity brew, almost with a hint of grapefruit. I enjoyed it, but would not drink more than one at a sitting. It did go well with the meal though. Now energized in the wrong direction (full and beered), we set out to check out the shops and take a walk along the St Lawrence River. Very impressive job of vitalizing the area. The shops are many, the restaurants excellent and abundant. The riverbank has been turned into a gathering point in the city and is full of both tourist and locals, always a good sign. 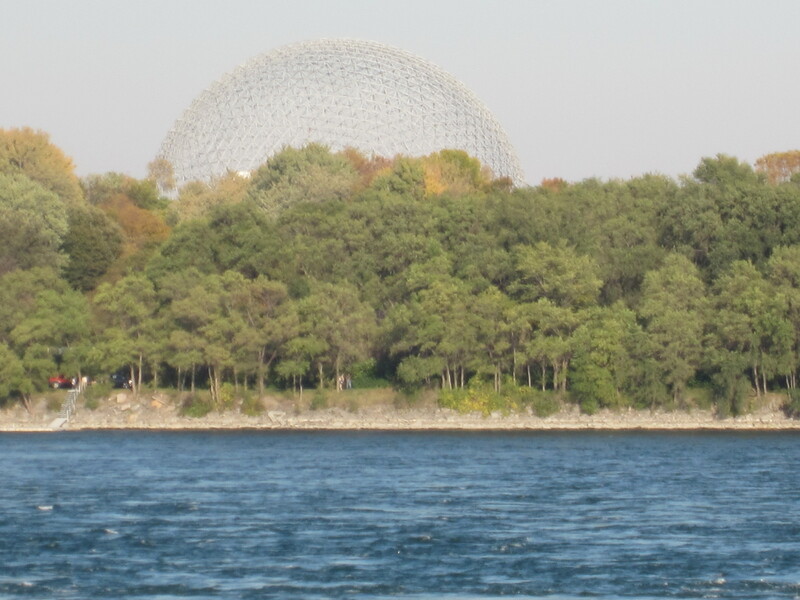 Out in the river is an island created in the 60’s for Expo 67, a world ‘s fair. The island was built using material excavated during the making of Montreal’s subway system. The two photos below are structures used in the fair. The first is a geodesic dome that was the American pavilion and the second is a concept apartment complex know as Habitat. Habitat is unique in that all the living spaces share very little common wall space and none overlook another one, giving unparalleled privacy. It was a display during the fair and is now in use as a condo and is a prestige address in Montreal. After spending some time along the riverbank, we moved back to shopping. We were in position to visit a unique shopping area, Marché Bonsecours. It is a heritage building, opened in 1847, and has been a market since it opened. 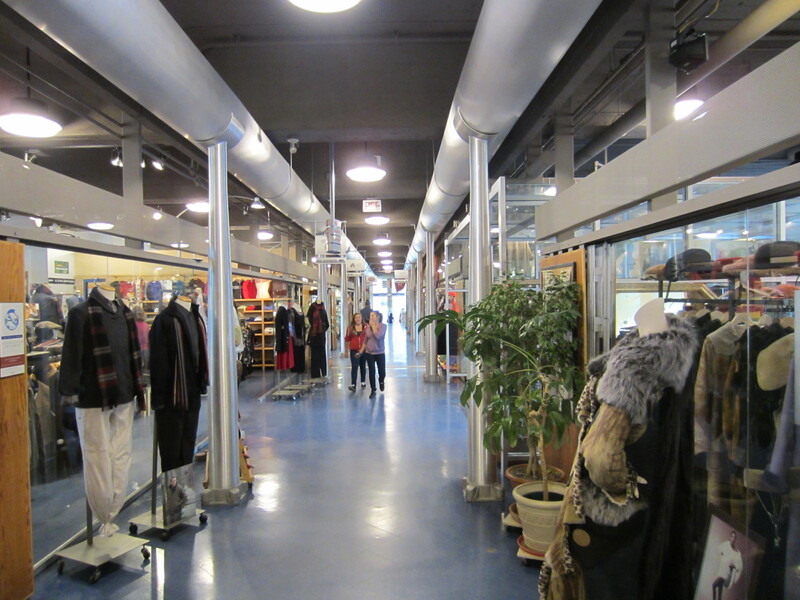 The inside of the market itself is a myriad of high-end shops and restaurants. The layout is basic, but the environment is very aesthetically pleasing. Almost face-off time. By a complete fluke we were in Montreal on the night that my long-lost Winnipeg Jets were to play their first NHL game in 15 years, and their opposition, the Montreal Canadiens. To make it even sweeter, one of the most famous sports bars in Montreal, La Cage aux Sports du Vieux-Montréal was just down the street from the mall. We quickly made our way over to the bar and walked up to the hostess, mere moments before a flood of people arrived. I spied a seat right in front of a tv and told her we were from Winnipeg and would love to sit there if we could. She led us to the table and we proceeded to watch the Jets absorb a beating at the hands of the hated Habs. It was strange watching the game, with all the cheering happening at the wrong time. It was good time, one that I will always remember. Following the game, we set out to find supper. We located an excellent restaurant, with a live jazz session. 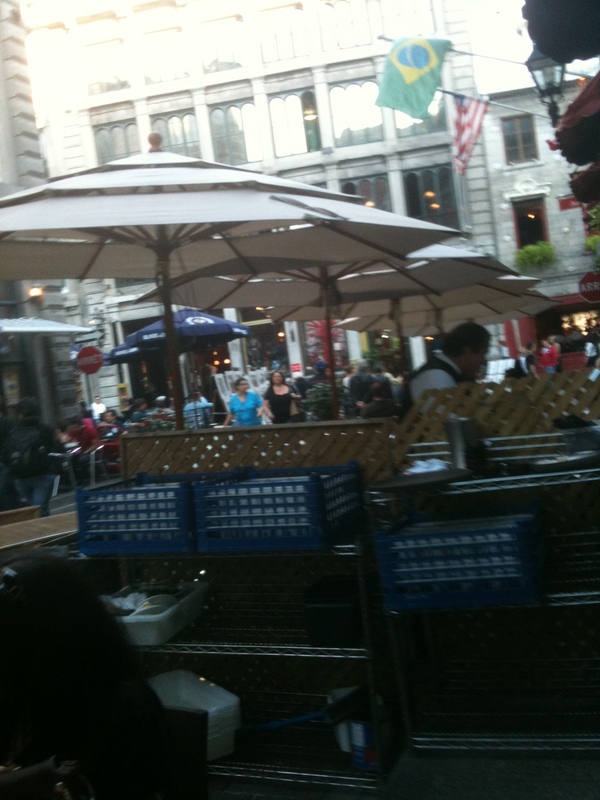 The place is called Modavie and is known in Montreal for its food, ambience and music. 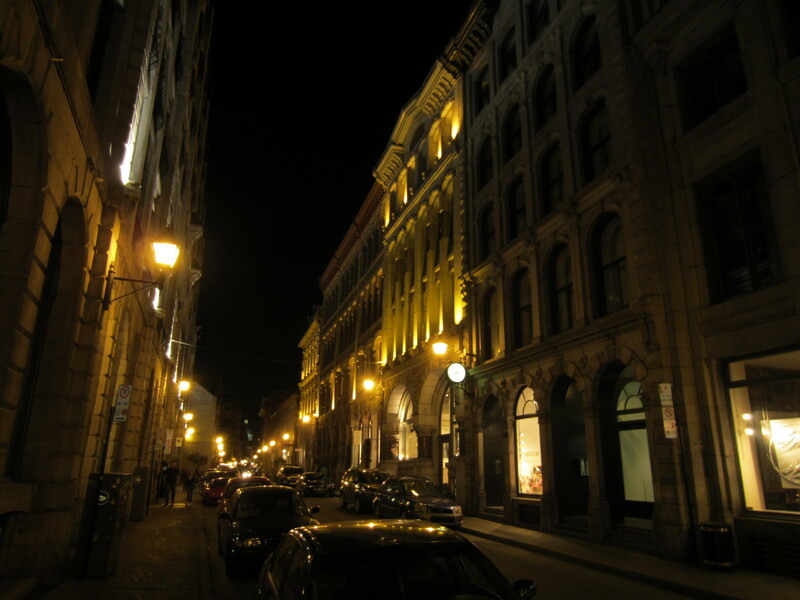 We booked a time about 45 minutes from the time we came upon it and went for an evening walk up Rue St Paul. Back to Modavie, we ended the day with superb seats, right beside the players and enjoyed a great meal. The players were Jon Gearey and Louise Thibault. Very good. Very enjoyable. Couldn’t record them from where we sat, but I did find a video on YouTube to share. After we ate, we did a bit more exploring and then headed back to the hotel. Good evening, looking forward to tomorrow. We had enjoyed our two nights in Mont-Tremblant, Quebec, but were now ready to hit the big city. Montreal is a cosmopolitan city, with great restaurants, plenty of history and something for every taste. 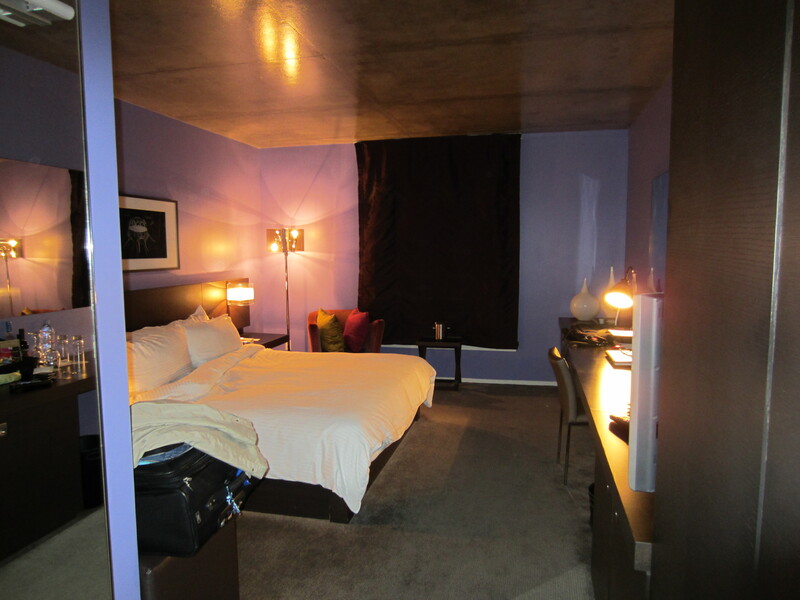 After a 2 hour drive we arrived at our hotel, The Opus. 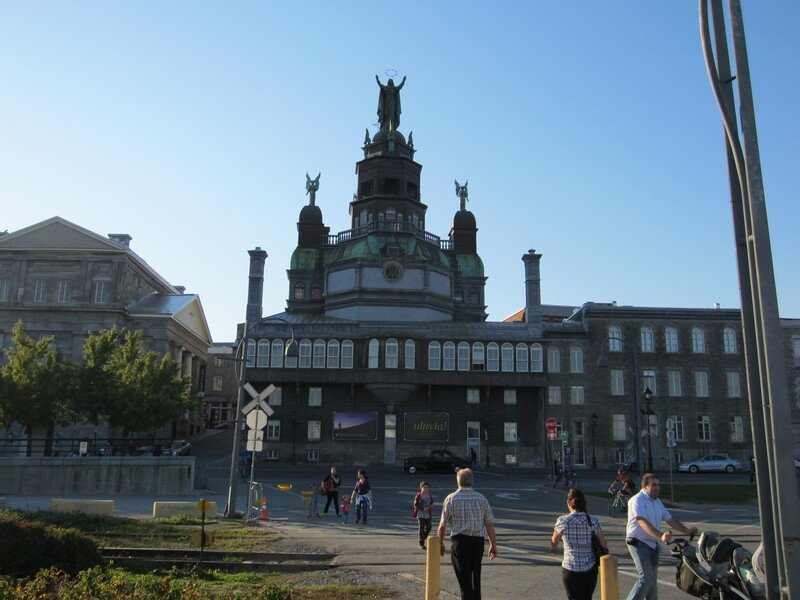 Situated at the corner of St Catherine and Sherbrooke, it is perfectly placed to access Vieux Montreal (old Montreal) and the downtown core. We also had a fairly interesting view. 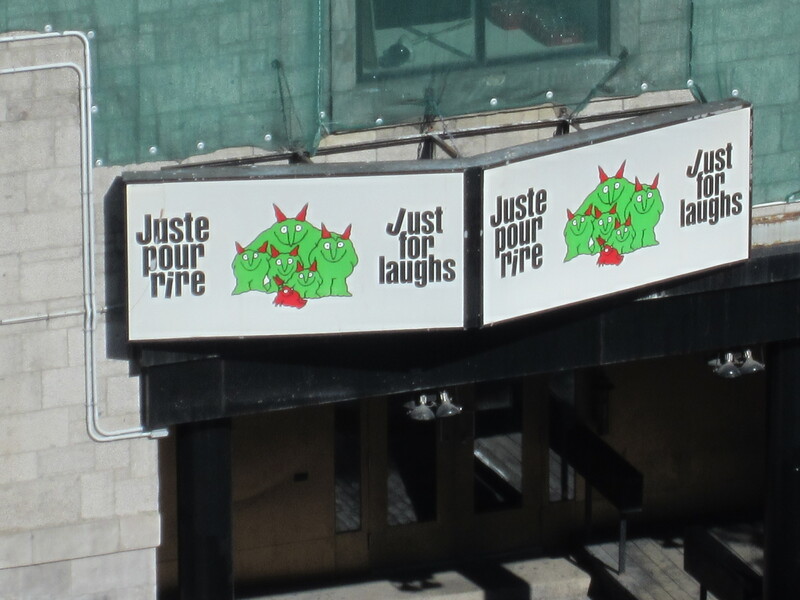 Canadians will know this theatre as it is the site of a TV show on CBC as well as the centre of operations for the yearly Montreal Just For Laughs Festival. As usual, we spent the first afternoon on an orienteering tour to first, find sustenance and beer, and second, to figure out where we were in relativity to where we wanted to be. My phone said straight up St Catherines and we would find Vieux Montreal, so off we went. The phone is seldom wrong, and after 30 minute walk, we were in the middle of Old Montreal, enjoying a beer and some appetizers with a great view of the St Lawrence River. A great way to spend the day, or an hour or so. 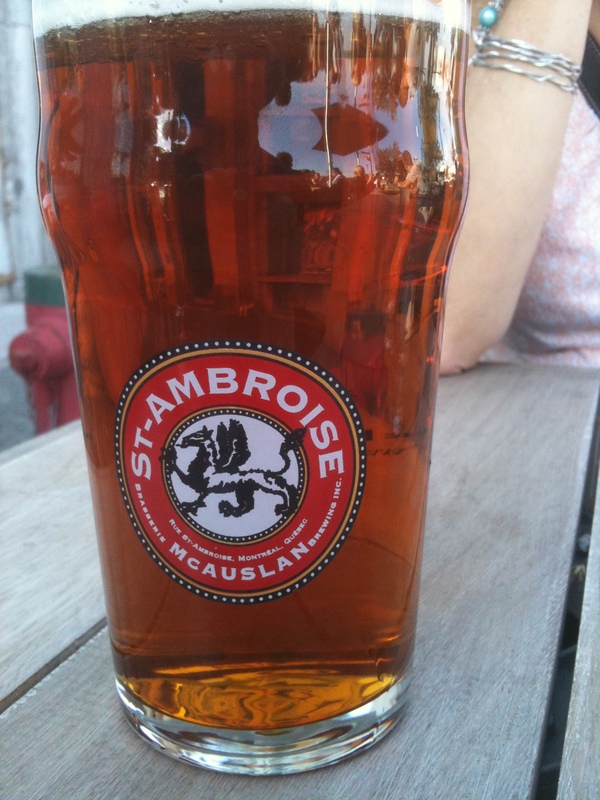 The beer was satisfying, St Ambrose, a local beer by Brasserie McAuslan. Our thirst taken care of, we started to wander the area. We located a nice spot for lunch called Galiano’s. The people watching was spectacular and the food was good. We had good reason to celebrate as it was Jetsmas Eve. What the heck is that you ask. Anyone from Winnipeg would, or should, pick up on this. It was the night before the first NHL game in 15 years for the long missed, and beloved Winnipeg Jets. We now had our bearings, and again, very similar to any older city, it was very easy to get around and not get lost doing it. We checked out some shops and headed back towards the hotel. The area has several highlights. Jacques Cartier Square is a central gathering spot, ringed by restaurants with the central square filled with tourist shops. Lots going on, with buskers everywhere. Kind of touristy, but expected in areas like this. One has to move away from the square to really experience the area. Very crowded with lots of puzzled looking people milling about. Back at the hotel, we booked a reservation for 9:00 at a supper club on site called KoKo Restaurant and Bar. A supper club is new to us. The idea is supper, shocking, followed by a turn into a night club at 11:00. They remove most of the tables and electronica abounds. Very cool. We had an excellent supper, matched perfectly with an excellent wine and some perfect after dinner aperitif. 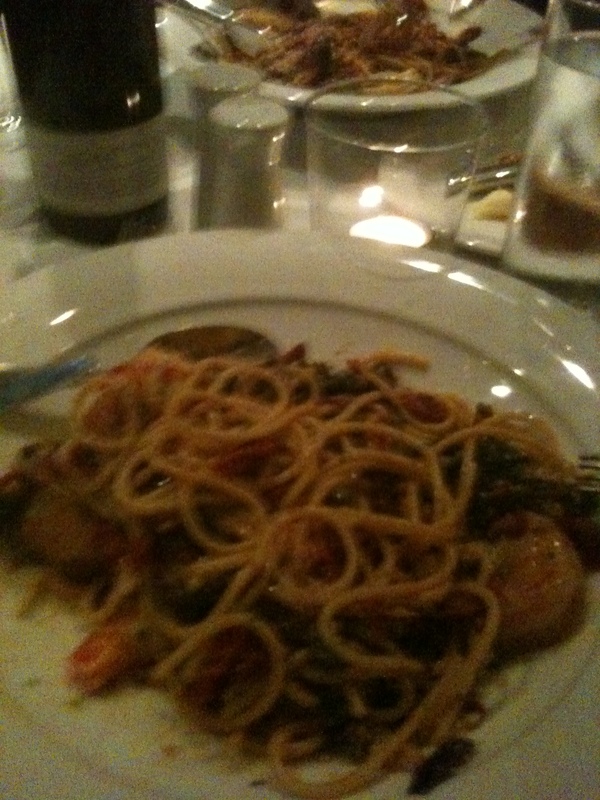 The meal was excellent, the pasta perfectly done, the shrimp and scallops exactly as they should be done. Very enjoyable. A poor shot. The wine is now a regular at our home. 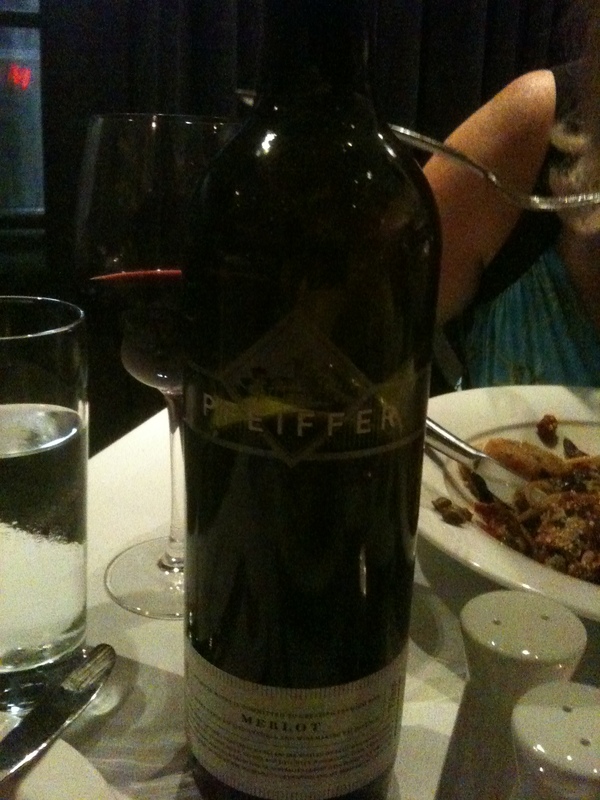 A nice Australian by Pfeiffer, this being the Merlot. We have noticed in Quebec that old world wines dominate on most wine lists, so it was refreshing to find an Aussie here. Overall, the dining experience was superb and highly recommended by us. The night club experience was wild. We people watched for a couple of hours, enjoyed a few Frangelico aperitif. Very loud, and very crowded. We decided to depart around 1 AM and leave the serious partying for the younger set. Little did we know that we will be experiencing the night until 4 AM when the music finally shuts down. We overlooked the outside deck of the club and, boy, was it loud. We had a great day and evening and went to sleep knowing the next 2 days will be superb, on the food and drink front for sure.